Writing in the New York Times this week, Somini Sengupta highlights the escalating crisis in some of the world’s driest regions. 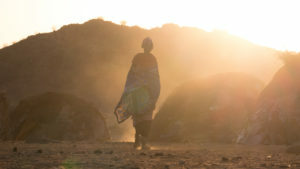 Climate change is resulting in a “new normal” for people living in the remote arid regions of eastern Africa. Droughts have always been a part of life in these areas, but they were relieved by subsequent rainy seasons that replenished water holes and sustained the meager grazing lands that traditionally pastoralist peoples have relied on for their livelihoods for centuries. Those days are gone. Climate change is an emergency in slow motion. By the time we feel the full effects, it will be too late. The historic response to drought crises by governments and humanitarian organizations has been to jump in with food aid and stop-gap measures to address the immediate need, save lives, and help people survive. But the droughts are increasing in frequency and severity and, we need long-term solutions that empower local residents to build their own resilience. As noted in a new report by Courtenay Cabot Venton and USAID (The Economics of Resilience to Drought), proactive responses to humanitarian crises are not only more effective at preventing loss of life and livelihoods, but also save billions of dollars of aid money, while preserving income and assets. Building resilience among vulnerable populations, particularly women, who disproportionately bear the consequences of extreme poverty, can be accomplished by helping them establish diversified sources of income, learn new skills and build up savings so that they can avert the crisis of survival for their families. We know that our gender-focused program can help break the cycle of dependency that comes from relying on aid. BOMA participants show significant increases in income and savings, which are sustained even years after “graduating” from our two-year program. Extreme poverty and climate change are inextricably and tragically linked, but there is a solution—which the global community can no longer afford to ignore.